Lock Jaw | 10-16020-010| Free Shipping! 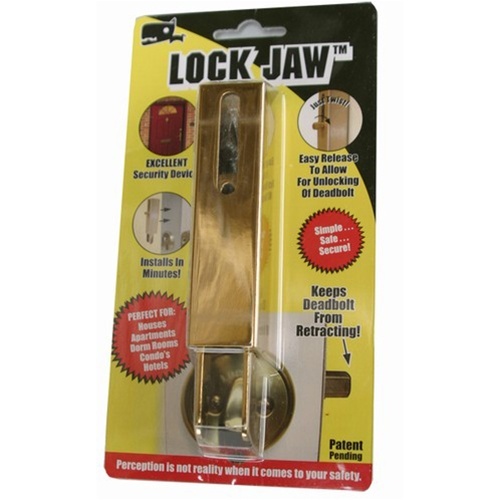 Lock Jaw is the answer to the national epidemic of lock bumping! 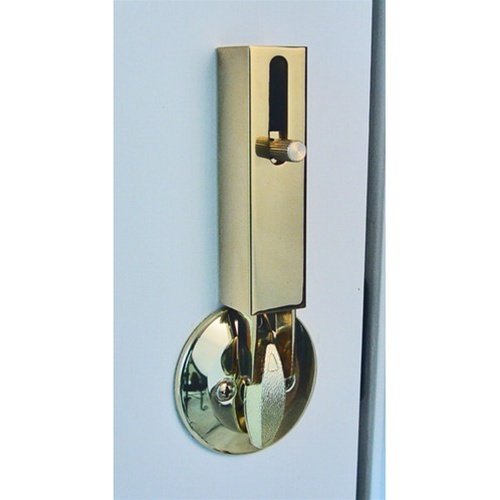 Align the Bolt Housing against your door above your deadbolt lock. Lock your deadbolt lock. Using a screw driver, insert a screw through the elongated slot on the front of the Bolt Housing and into the bottom hole. Level Bolt Housing and tighten screw. If Applicable, plastic anchors are provided. Slide bolt into the Bolt Housing and allow it to fall until it makes contact with the deadbolt thumb latch. Place the Pin through the elongated slot of the Bolt Housing and screw it into the Bolt. There are various products available that can be used for fastening Lock Jaw without using the screws provided. Options include high resistant double-side tape, silicon glues, etc., which are available at most hardware stores. 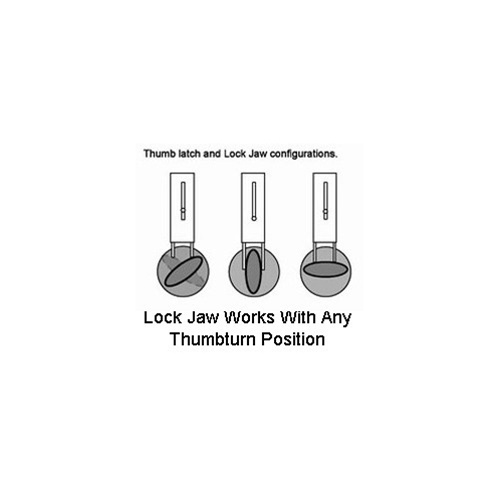 To engage Lock Jaw, turn the Pin counter clockwise and allow the Bolt to slide down to your deadbolt thumb latchlock ( thumbturn ). Turn the pin clockwise to tighten. 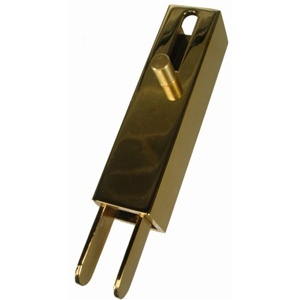 To disengage Lock Jaw, turn the Pin counter-clockwise and pull the bolt upward until the Pin meets the top of the elongated slot. Turn the Pin clockwise to tighten. NOTE: Free Ground shipping for contiguous United States ( lower 48 states ) only. Sorry, we do not ship outside the contiguous United States ( lower 48 states ).